Relax and unwind as you watch TV after a long day at work with the addition of this handsome, casual reclining love seat. 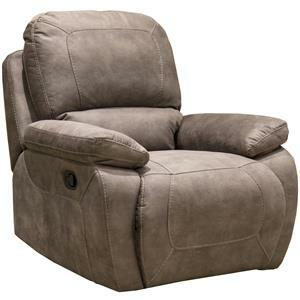 Put your feet up with the easy to use lay flat power recliner so you achieve optimal relaxation. The center console has a storage area ideal for keeping extra remotes neatly out of sight, and two cup holders. 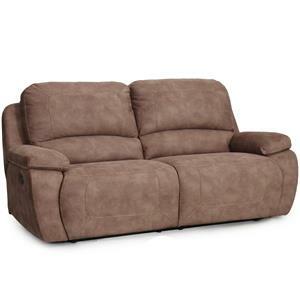 Let the worries of the day pass you by when you add this plush reclining love seat to your living room. 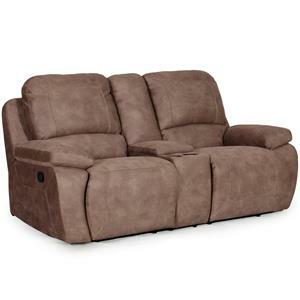 The 1060 Collection Casual Power Lay Flat Reclining Love Seat with Storage Console by Synergy Home Furnishings is available in the area from BigFurnitureWebsite. Casual style will fill your home when you add this handsome 1060 Living room collection to your home. 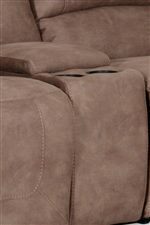 Each piece is created to be the most comfortable it can be, so you enjoy your nights in with your family in plush style. 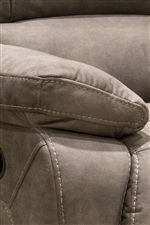 Casually designed with pillow top arms and top stitching, this collection is sure to please. Watch TV with your family and relax after a long day at work when you have this stylish 1060 collection in your living room. The 1060 Collection collection is a great option if you are looking for Casual furniture in the area. 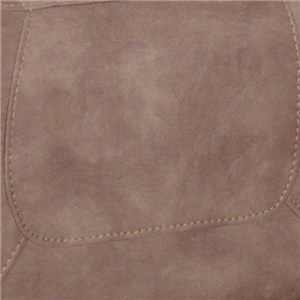 Browse other items in the 1060 Collection collection from BigFurnitureWebsite in the area.